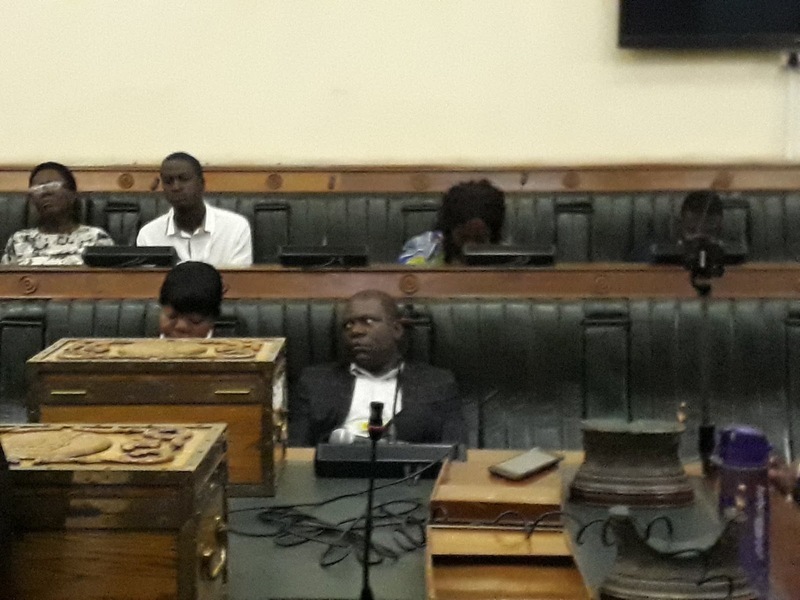 THE $400 000 Hwange Colliery bribery saga took a new twist during parliamentary inquiries yesterday after it emerged that Shepherd Tundiya, the linkman between the four MPs implicated in the alleged scam, President’s Office and businessman James Goddard, was actually a con-artist on mission to swindle the businessman. This came as the MPs gave oral evidence saying Tundiya masqueraded as an operative of the Central Intelligence Organisation and offered to assist Goddard to clinch a mining deal in Hwange on condition he palm greased the four members of the Mines Parliamentary Committee. All four legislators implicated in the matter, Temba Mliswa (Norton), Anele Ndebele (Magwegwe), Prince Dubeko Sibanda (Binga North) and Leonard Chikomba (Gokwe-Kabuyuni) described Tundiya as a “crook” and “con-artist”, who owed Chikomba US$2 600. The Parliamentary Privileges Committee heard that Tundiya had invited the MPs to a meeting with Goddard so he could con the construction mogul, which money he would use to pay Chikomba $400 000 in bond notes. It was said the $400 000 was being touted as facilitation fees to assist Goddard get the Hwange deal. Mliswa was the first to give oral evidence before the Privileges Committee chaired by Senator Chief Charumbira, where the Norton legislator said the meeting was informal and had nothing to do with parliamentary committee business, adding he did not even know the agenda of the meeting which was facilitated by Tundiya and was held at Goddard’s Borrowdale offices. “The meeting discussed Hwange Colliery issues, where Goddard had an interest and I referred him to Justice minister Ziyambi Ziyambi because I told him that HCCL was under reconstruction and there is nothing wrong with that,” Mliswa said. “I took over the agenda and said Tundiya cannot speak and during the meeting, I never heard anything about the $400 000 bribe. If you drive through Bulawayo, you see vehicles branded J R Goddard, and Goddard did not have to go through anyone to speak to President Emmerson Mnangagwa. Chikomba then gave his oral evidence, where he disclosed that when Tundiya invited him to Goddard’s offices in Borrowdale, he had been made to believe that Goddard was the one who was going to settle the US$2 100 debt in local currency. He told the committee that Tundiya owed him $2 700 since 2011, and had only paid back US$600. “I asked Ndebele, who is a lawyer, to accompany me and assist me to recover my money from Tundiya, and because on that day, I had no vehicle and Ndebele had no vehicle, we asked Sibanda to accompany us in his car. Sibanda then said Tundiya is a conman and it was better to ask Mliswa to also accompany us to Borrowdale at Goddard’ offices,” Chikomba said. “During the informal meeting, only Hwange Colliery issues were discussed and it was only outside when we were already going that I asked Tundiya to pay back what he owed to me. Tundiya said murungu wake (his boss, to mean Goddard) was the one that was going to pay, as they were business partners, and then he said I should write down my account number on a piece of paper which he then gave to Goddard,” Chikomba said. Privileges Committee member Jonathan Samukange then demanded to know how Goddard was made to understand he was supposed to deposit $400 000 facilitation fees in Chikomba’s account. Another committee member, Tatenda Mavetera, demanded to know the interest rate that Chikomba had used to conclude that Goddard should deposit his money as $400 000 in local currency. Chikomba said when Tundiya communicated with Goddard, he could not hear what was said. “Tundiya was the one who went to speak to Goddard and I gave him a piece of paper with my bank account because Tundiya had said the following day, Goddard would deposit money in payment of my debt. When I mentioned $400 000 to Tundiya, which Goddard could have heard, I did that in passing because I was saying to Tundiya I lent him the money in foreign currency and seven years later, it would be worth more in local currency and that I could have invested it as a businessman and got around $400 000 to date. Tundiya is a cunning conman who even pretended to have links with the President (Emmerson Mnangagwa) to Goddard,” he said. Sibanda also gave his oral evidence, saying he had been asked by Chikomba and Ndebele to drive them to Goddard’s offices since they did not have a vehicle. He said during the informal meeting, the issue of a bribe or facilitation fees was never mentioned. “I first heard about the $400 000 bribe amount through The Herald. When we accompanied Chikomba to recover his money from Goddard, we were made to believe that Goddard was the one who was going to pay his debt,” Sibanda said. It turned out Goddard never directly spoke to the MPs about the money, but that Tundiya acted as a go-between between Chikomba and Goddard, without them both hearing what was exactly communicated to the other. In his evidence, Ndebele said as a lawyer, Chikomba had asked him to accompany him to Goddard’s offices to assist him recover his debt from Tundiya, who he said had invited them there. “I first heard of the $400 000 bribe from The Herald. It was never discussed inside or outside the meeting. My knowledge of Tundiya is that he is a colourful character and I told Chikomba that he can be given the money as cash and then set-up, and so there was need to be watertight with the document to recover the debt,” he said. Ndebele said he knew Goddard to be a well-respected Bulawayo-based businessman, but was surprised that he was dealing with Tundiya. He said he had personally requested Sibanda to accompany them using the latter’s vehicle.